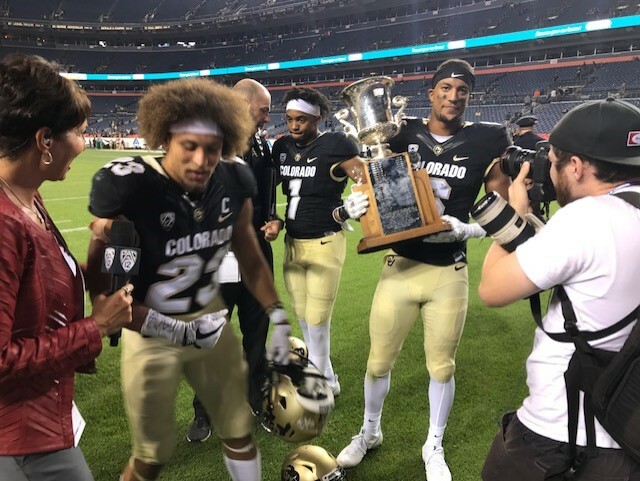 On the Colorado Scene is my commentary page, focusing on Colorado sports and when the mood strikes, news and entertainment. Please bookmark and return often. PLEASE CHECK OUT THIS AWESOME CHARITY! 2018 On the Colorado Scene Commentaries are here. List first, then full On the Colorado Scene commentaries follow in that order. Nov. 2: "Why can't MacKinnon do that every night?" Oct. 30: Anyone have the Avalanche figured out? 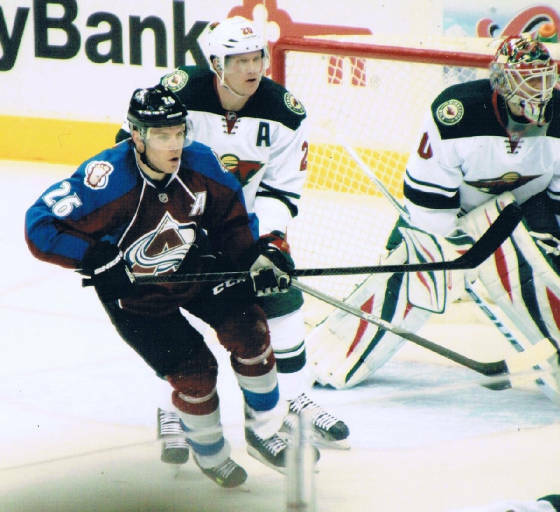 Oct. 23: Can Zadorov be -- and stay -- a top-pairing "D"? Oct. 7: Can't somebody tackle No. 14? order at the Mill Stop or Latronica's. interesting, entertaining and educational. Yes, about all of those teams. 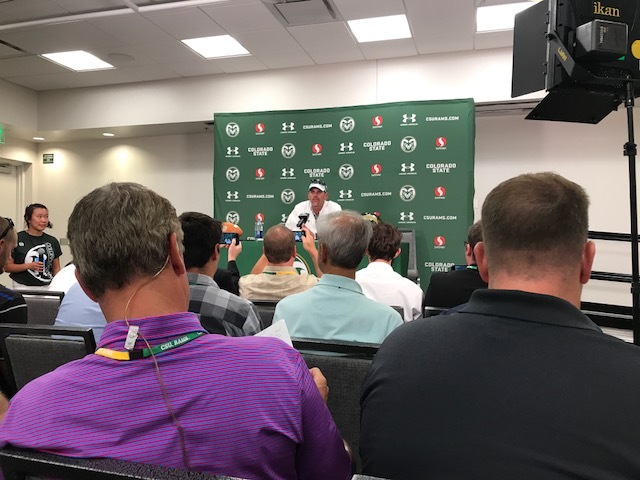 that...," or "That was interesting...," or "Mike Bobo sounds like a good guy,"
or, "That really ticks me off," we've succeeded. at the end of the call add, "But about Brock Osweiler ....," before the click. The idea never got anywhere. The time might be right now. show with a gimmick. At least at the start. and business purposes. I get it. proceeded to talk about Tebow for 10 minutes. That, to me, is Denver sports talk radio in a nutshell. or underplayed? This would be a niche approach that won't be for everyone. stations and shows would have to be willing to be open-minded. No Broncos. "Who cares about CU basketball?" Broncos, magazine-type show could work. It could find a niche. This is a story I'm proud -- and also saddened -- to have deeply researched and told. 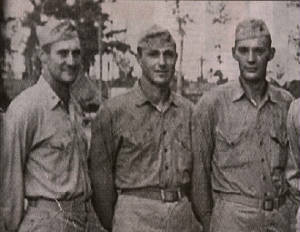 It's about former Denver North High and Colorado A&M star Walter "Bus"
stars and NFL players -- died on Okinawa. 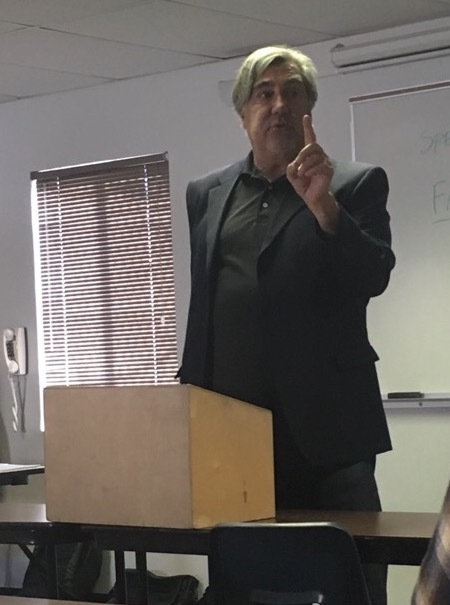 Mike Boryla is on a crusade. To kill football. about that ... and a lot more. happen, but he takes that stance to make a point. or won't happen to them. creative and soon he dove enthusiastically into writing. affected analytic side of his brain was giving up control. and two with the Eagles. heart-to-heart with the audience member. goes to Colorado high school football's top player-scholar. 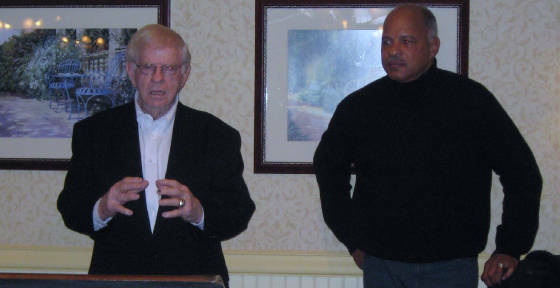 Musgrave revealed he was the Eagles' quarterback coach. among other things -- the Biblical references and the quarterback craft. staff, but it could happen at some point. run pass 37 ... 655 choice. 'Khunya,' watch for the red dog." the football play portrayed and the stage play itself -- take off. Boryla suffers a concussion on "Black right zip ... "
one-actor plays. Except Mike Boryla plays Mike Boryla. to Stanford on a basketball scholarship. "I talked them into letting me try out for football," he once told me. van in the Bay area. threw two touchdown passes to lead the NFC to the win. up and he just wasn't interested. and the voices rising as the caffeine takes effect. On the side, he's taking on football. to let their children take up football. I believe Deb and Mike could have quite a talk. J.D. 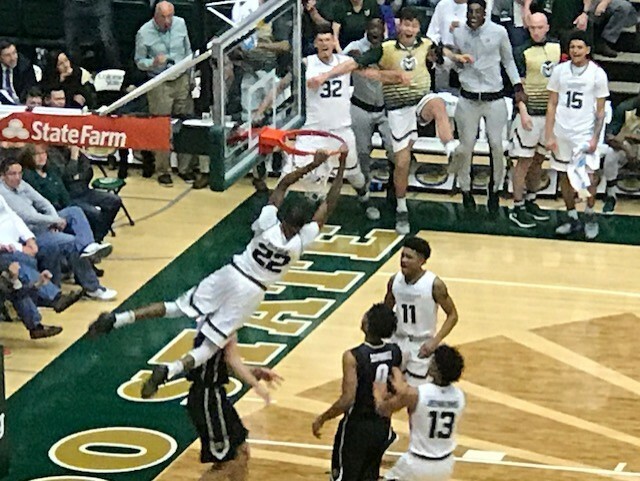 Paige dunks against the Buffaloes, putting CSU up 56-42 with 12:22 to play. .
High junior guard Jeremiah Paige for a major profile. Colorado, Colorado State, Denver and Wyoming. 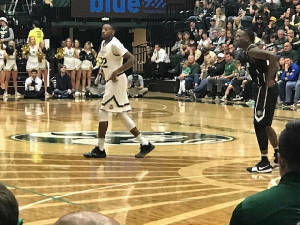 Prentiss Nixon, the Rams' other junior starting guard (at right), also had 16.
really big win for us and for me, just to come out and prove a point." trying to get on track." goes back two generations in his family. the Los Angeles Lakers drafted him in the seventh round in 1978.
it could have been a matchup with Boise State. products; and the fans who care on both sides of the rivalry. Denver before they moved to Aurora when he was in elementary school. starter by his sophomore season. to CSU from Bolingbrook, Illinois, High, and has stayed the course, too. 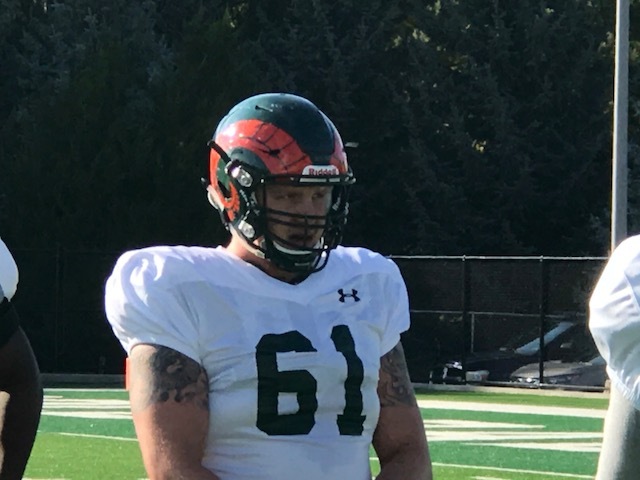 a handful of Rams, including Daniel Bejerano. J.J. Avila and Gian Clavell. "Those guys took me and really molded me," he said. But what of the high-turnover nature of the program? what it should be when I got here and he's helped me a lot with that. So I think him for that." 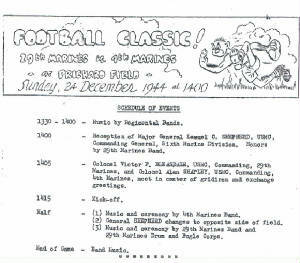 status in the program. 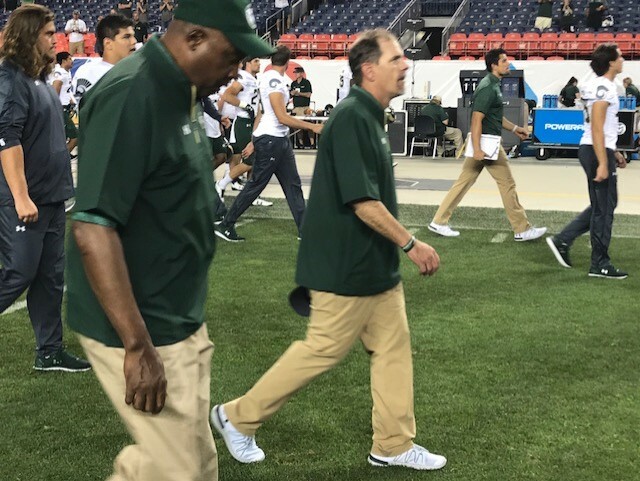 They began at CSU and they have stayed there. "All I said was, 'Not here, not this time,'" he said. 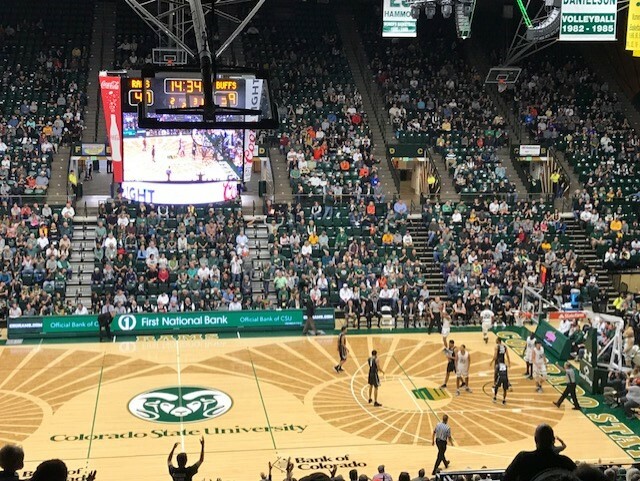 The less-than-full house at Moby Arena. fact that it kept the Buffaloes short of bowl eligibility. 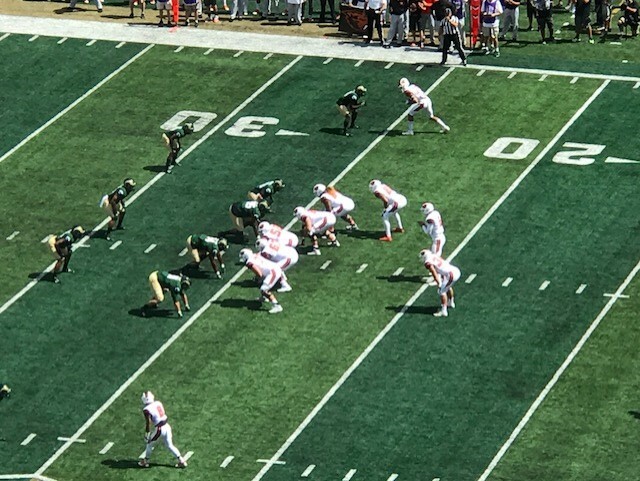 California in their final home game. and emotionalism tied to them. They gave the impression as if they were fine with being done. at least were ranked in the top 20 going into the Apple Cup Saturday. with the Buffs threatening to pull it out in the final seconds. to rush for 327 yards. all have to answer for this stunningly flat finale. It was a total team effort. and the other seniors apparently wasn't significant incentive. additional practices that can begin to point to next season. Oregon. 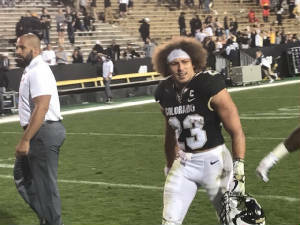 Plus, Sefo Lifau's leadership -- more than his play -- was missed. the sideline was memorable, too. Jack Graham's baby, the on-campus stadium and adjacent practice fields. to make this a triumphant season, but it can lessen the frustration. Paxton Lynch and John Elway. fashion in college and pro football, but it did. for another year, but an assistant or two will go. comes from above, or it's a head coach's own attempt to deflect blame. Or, as often is the case, both. bad deals. There has to be accountability at the staff level, too. in five years, it's not always fair to blame the linebackers coach for problems. scapegoating, and I'm still convinced there's a lot of that in it. But during this type of season, the reflexive response is to say: Do something! In this case, the Do Something was to fire Mike McCoy. out of nowhere and wasn't much discussed until this week. There are two asterisks here. have been, and this decision obviously wasn't his alone, either. suffered in Denver, has slipped considerably from a year ago. six-game audition begins. He would have been working with Lynch regardless. top of the offensive staff's hierarchy. ethic and failure to soak up the playbook. Broncos to tie him up to a long-term extension as soon as it was possible. But this isn't about fairness. It's about pragmatism. even committed to consider Siemian the backup moving forward here. more endearing than a negative. 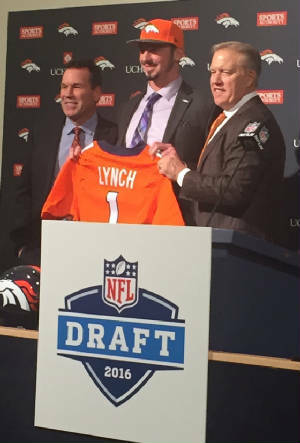 Lynch hasn't inspired anybody yet. This is his chance. because he played the role, sounding and looking like a quarterback. time as a Sun Devils starter under Dennis Erickson. show that one development model and timetable doesn't fit all. If he fails, the Broncos likely not only will look for another quarterback. They might need another scapegoat. 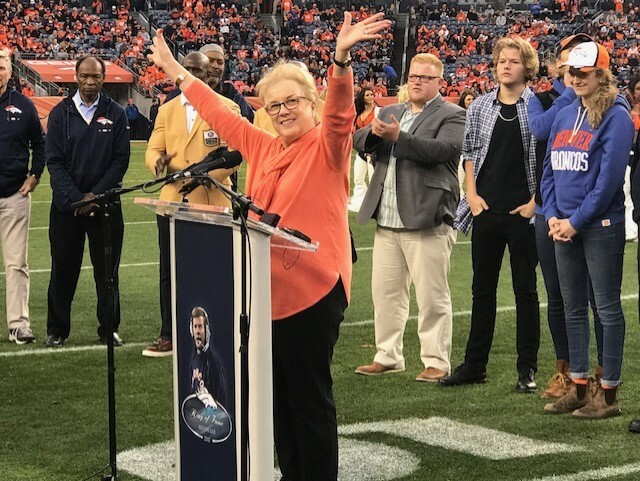 Nan Miller, Red's widow, praises the Denver fans on Red's behalf during the halftime ceremony. Behind her are Red's grandchildren and that's Orange Crush safety Billy Thompson at the left. I could hear Red Miller saying, "Thata way, Nan." most of all -- loved Red. you. You loved him back." woud never happen," she said. "We thought those days were past, you know. it was unbelievable. It turned the town on end for sure and put us on the map." prospect of the time -- Cowboys assistant Dan Reeves. and living with Nan in south Denver. half of a season on the job before -- oh, the irony -- Craig Morton replaced him. it was posthumous. But it was appropriate and worth celebrating. today was a moving experience. the Rainbow," as well as offering memories of Red in a turn at the microphone. 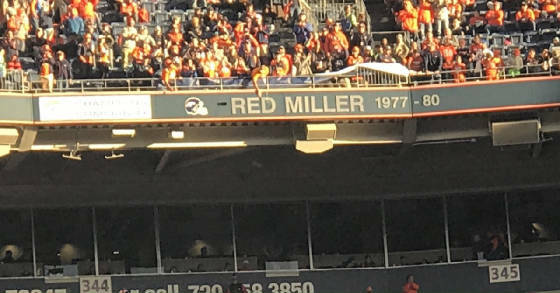 Ring of Fame at the November 19 game against the Cincinnati Bengals. from '77, about the Raiders rivalry. I'm proud to have told his story. function for '77 in 2007. When Red was done, his listeners were wanting to run through a wall. 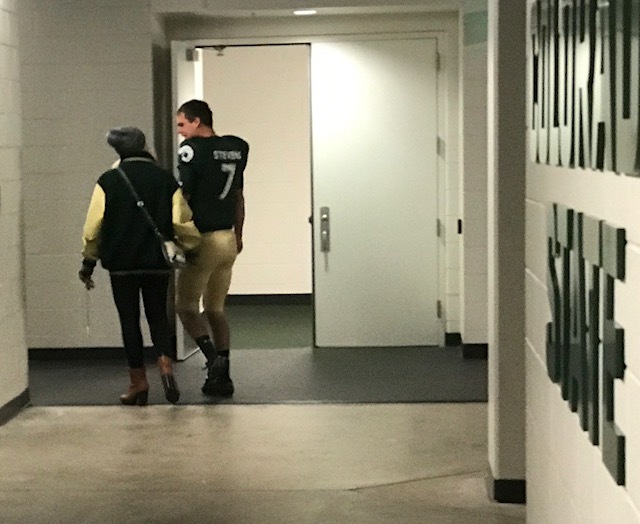 Haley and Nick Stevens after the CSU quarterback's stint in the post-game news conference. challenged to win the job back. reminded him a bit of that young Georgia quarterback. "...like you kind of mentioned, how close we've become." 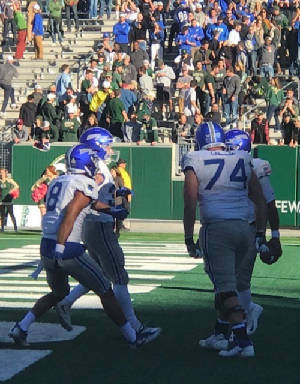 Hill suffered a season-ending knee injury against Utah State. but it still was eyebrow-raising. season as a redshirt sophomore. It has worked out. And the Bobo-Stevens relationship never turned toxic. 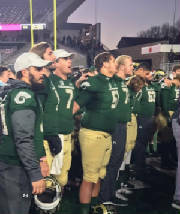 against the Spartans Saturday, I asked both the quarterback and coach about it. but that kid's made of the right stuff. He's going to be successful in everything. and overcome it and come out better on that back end. "And Nick Stevens, he's going to be able to handle anything. I really believe that." I asked Bobo if that's the way Mike Bobo handled it. coach is the guy who went through a demotion himself. close to him. I think we have a very good relationship right now." and trotted out to join their families on the field. tonight or something like that if it hits me." 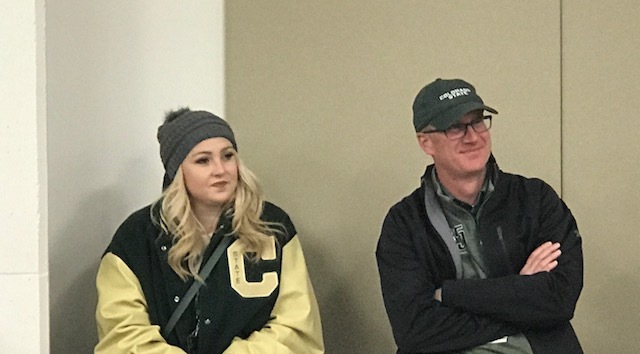 Haley Stevens and CSU athletic director Joe Parker listen to Haley's husband at the rostrum after the game. not Colorado -- on their jerseys. group picture -- and I snapped away, too. that recovery has hit a speed bump this season. proclaiming "sixth-year senior" as if it was a badge of honor. and that understates his role in the Buffs' progress. 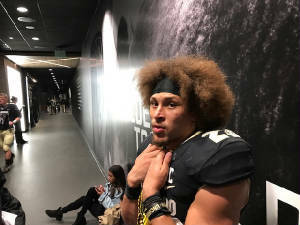 (If you wince at "The Rise"
was it for him at Folsom. "For me, I keep my emotions to a minimum," Lindsay said, unconvincingly. a Colorado Buffalo, on top of the bowl, so it's going to be exciting." senior because of of a torn ACL. you have medium years. You just have to keep rolling with it." and Irwin is the anchor of that group. after the bye week and we get better and we get rested." over to say hello to all. tears, blood and sweat in this program." second half. We made too many mistakes early." under Jon Embree in that one-win season before MacIntyre took over. to play and we're going to win. experiences, and that's just the way college goes." nearby, by now talking with Mark Johnson on the radio post-game. going to be said to leave these guys, but one door closes, another door opens. That's the way I look at it." Joneses and the Ducks ... and everyone else. And they leave the program a better place than when they arrived. The Wyoming Cowboys celebrate reclaiming the Bronze Boot. and setting a horrible example for his team. perhaps unimaginable turnaround in the next week. Other than that, everything went well. But there are style points involved, too. A common reaction among coaches? Of course it is. 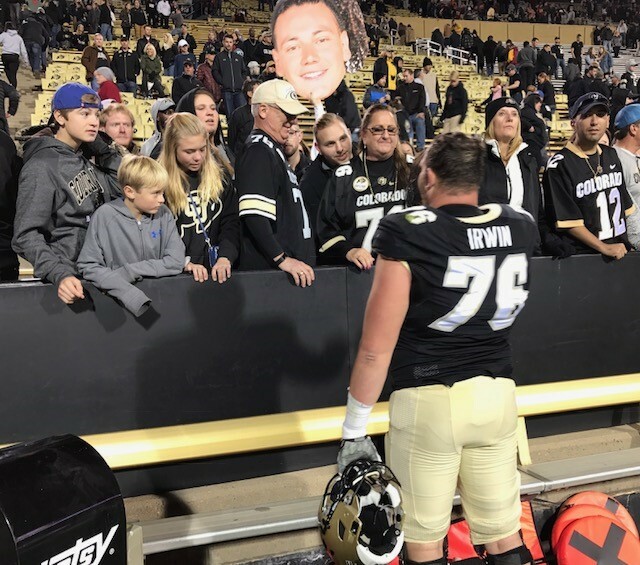 as the ball arrived in the Rocky Mountain Showdown. regardless of how it is explained or justified. MacIntyre's job is safe. 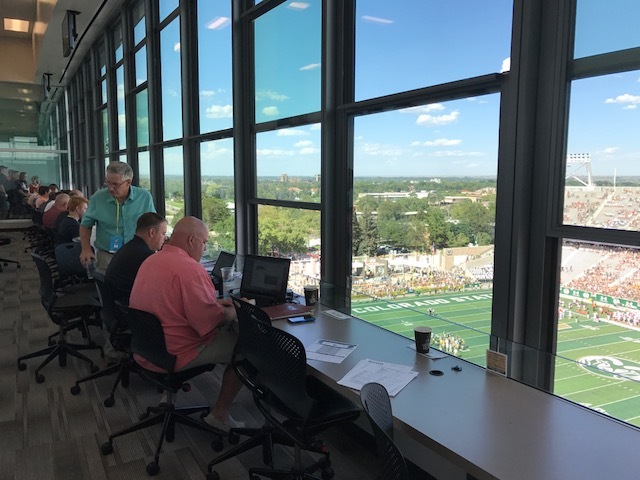 CU's investment in first-class facilities has borne fruit. program has made since 2013 -- unless he lets it. 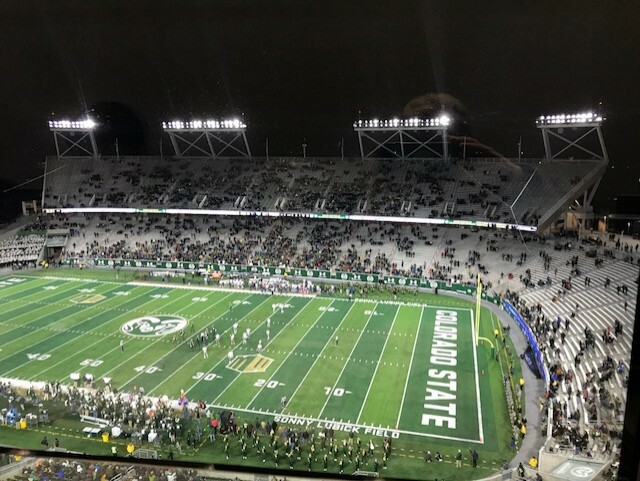 the Mountain West title game. This isn't a disaster as much as it is a disappointment. will stay and where he might go, to building caustic criticism. that was -- and still is -- naive. players ignores the questions: And there's something wrong with that? to win is a major challenge, and McElwain pulled it off. geographic talent pool -- as if that will be the case. seem to be considered defining. pro prospect quarterback -- sufficiently adapted to take control. CSU did not. forward unless the next three games are a complete embarrassment. pride, but that 0-2 won't go away. "Why Can't MacKinnon do that every night?" Anyone have this Avalanche team figured out? 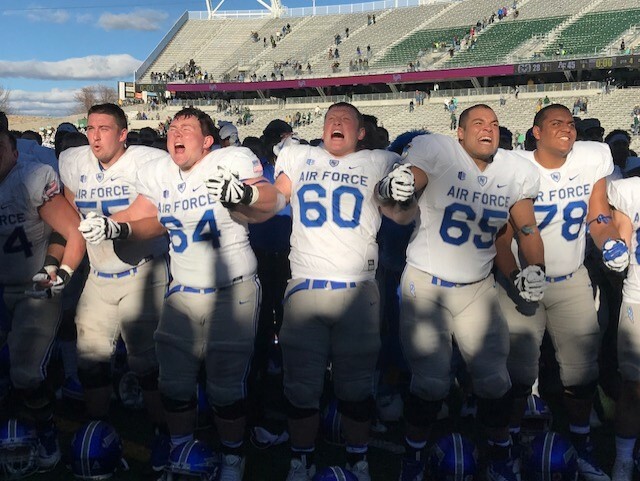 join in the singing of the "Air Force Song." 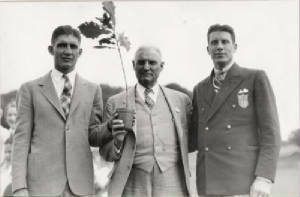 Neal Bess (65), R.J. Slater (78), and Garrett Amy (84). ball, is partially hidden at right. FORT COLLINS -- Didn't see that one coming. among the state's three Football Championship Subdivision teams. 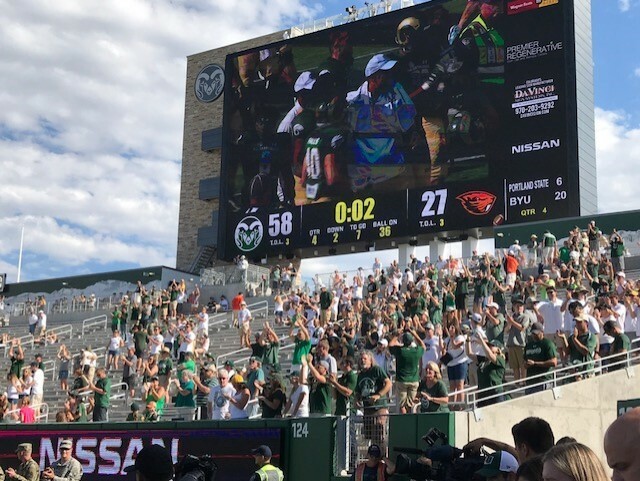 Colorado 17-3 in the weird season-opening Rocky Mountain Showdown. a 2-10 pratfall in 2013.
the ball for more than 41 minutes. the Rams pulled into a 28-28 tie. Vereen returned one of them 30 yards for a second-quarter touchdown. In most measurable ways, the loss wasn't that costly for the Rams. They still have their destiny in the own hands in the Mountain Division. thought the Rams would have -- and it isn't good. what this win on the road against a state rival meant. we've made progress as we've moved along this season." He said that one key to the turnaround was his team's work during the week. right enthusiasm, it makes a difference." good at it. I think when you walk into this facility, it's top-notch." But the impact of the win itself? you're going to be good at team-ball sports, it takes a phenomenal commitment. to keep grinding, keep pounding, keep growing and learning, and we can do that. commitment in all sports, they deserve it, they've earned it." Mountain West opponents and other major programs. the win on their, that's a really good win." Seated next to Worthman, senior linebacker Jack Flor jumped in. 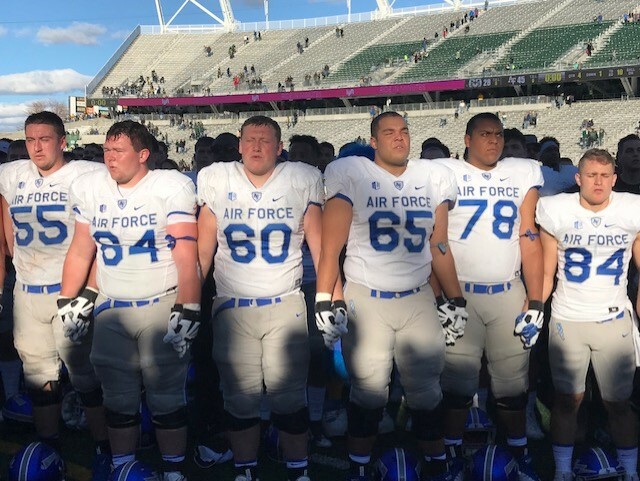 against Army, Wyoming, Boise State and Utah State -- to be bowl-eligble. still ultimately could be his best job. of the Glenn Morris Olympic Oak tree. 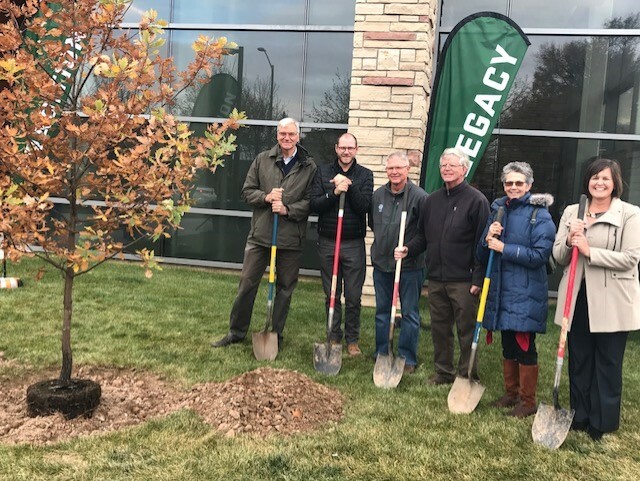 FORT COLLINS -- This was the Glenn Morris Oak Tree Sequel. tiny Simla, 49 miles northeast of Colorado Springs. 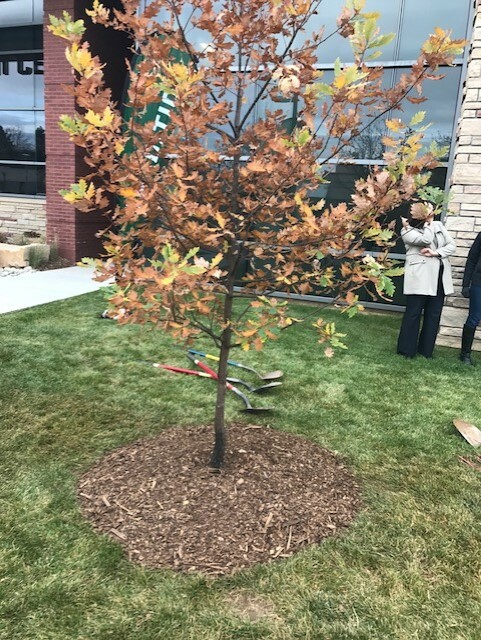 plant an oak-tree seedling to salute Glenn Morris. 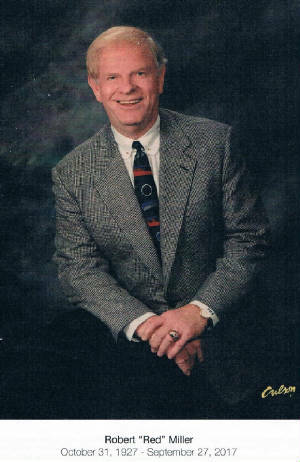 the 1968 Olympic men's decathlon coach and an Olympic historian who lives in Chadron, Nebraska. 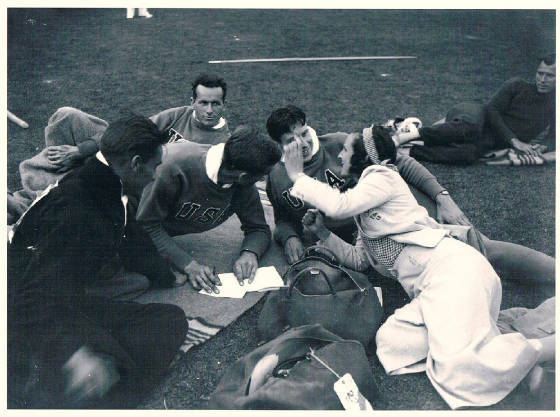 oak seedlings, then plant them at various sites tried to the 1936 Olympians around the country. 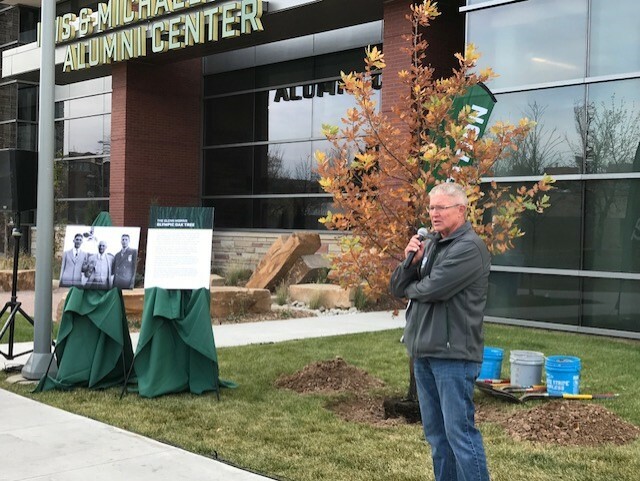 In May 2010, it was CSU's turn -- in honor of Morris. Tarzan in the dreadul Tarzan's Revenge. house on the east side of the campus after Morris. after the Games competing in other meets at the behest of the USOC. wasn't paying attention and, voila ... "
presenting the sapling to President Lory was displayed. Olympic oak on this campus. That became more and more of a mystery. What happened to this tree?" oak-tree seedling to CSU, and giving two more to Buchanan. And that all led to Friday's ceremony. plus an oak tree seedling. are the offspring of that tree. offspring trees from from the Olympic crop on the campus. Olympians -- also including six-time gold medalist Amy Van Dyken. seeing his gold medal in a tour of the Alumni Center. 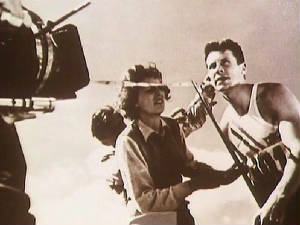 Glenn Morris and Leni Riefenstahl. 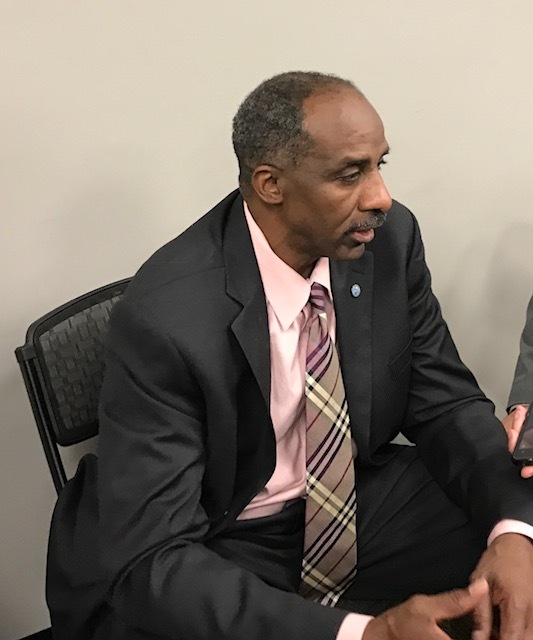 in the NBA, with only fellow ex-ABA star Julius Erving in the same conversation. hoping for a Thompson renaissance. NBA ruled that Walker couldn't be traded, ultimately for Bill Hanzlik. he might have been if he stayed healthy and stayed with the Nuggets. push-the-pace passing game that accentuated his talents. after he turned his life around. enable Denver to void his "extravagant" five-year, $4 million contract. I knew it probably was the best thing for me when I left." That's pretty much the universal reaction to Thompson's career. I share it. weekday game days and get $4 tickets to the games against the Nets or Kentucky. Thompson alone was worth the price of admission. "The travel was difficult, but the style of play was great," Thompson said. and that made it fun." I asked Issel, his former teammate, about what Thompson could have been. "When we were sitting there on the court, I was sitting next to Dikembe,"
same sentence as Doc and Magic and Larry and Michael." Can Zadorov be -- and stay -- a top-pairing "D"? 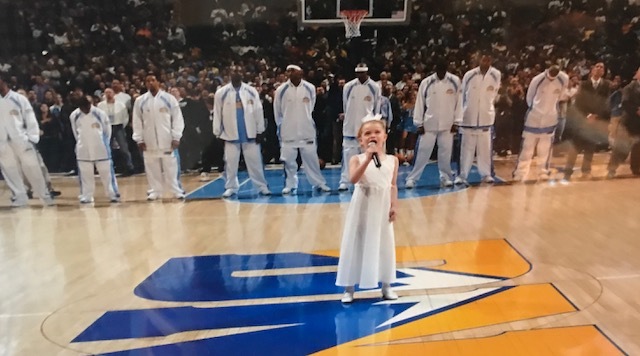 in 20th Anniversary Tour of "Rent"
Lyndie Moe singing the National Anthem at Nuggets' game. of wins with the Nuggets, hangs from the Pepsi Center rafters. joined the company after finishing her freshman year at Rider University. 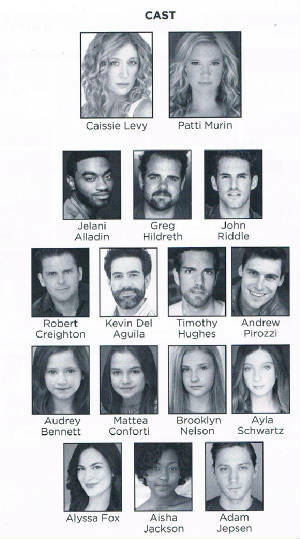 Here's the "Rent" tour's web site. on the back end) in Denver a long stay for this company. will perform 10 shows in eight days, with no days off. Spare us the whining about having to play games on back to back nights, guys. grandparents, it's all from Jane. 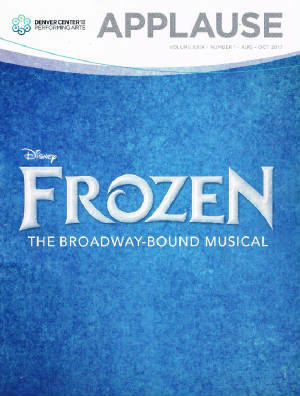 Here's more from the DCPA site on Rent's stand in Denver, including ticket information. collected his 600th career NHL point. assist , told me after the Blues' 4-3 win. "It's just part of it. That's fine. and Erik Johnson -- "and I'm always going to be close to a lot of those guys." an unrestricted free agent, or perhaps even shortly after. for the term of his previous five-year, $33-million deal with Colorado. Stastny? The uproar would have been immediate and resounding. 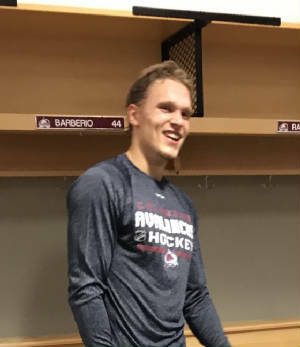 The strange thing about all of it is that it seemed he had found a "hometown"
signed with the Avalanche after his sophomore year. where you're going to sign and what you're going to do," he said. how much you're going to play. You want to be on a winning team. one of those teams went away and it was down to St. Louis and Colorado. "You can ask my wife. For us, it was the toughest decision we ever made. always tough, and you to take the emotion out of it." "Because I went to school here, as a kid I kind of matured here," he said. here. A lot of guys from DU end up living here, and so do a lot of other guys. They spend their summers here and it's such a good spot." Czechoslovakia, part of the Soviet-dominated Eastern European bloc. "Miracle on Ice" team in group competition and finishing fifth. the Quebec Nordiques, and older brother Marian followed them later. United States teams in international competition, including the Olympics. He's also still a Denver guy -- even though he no longer is with the Avalanche. 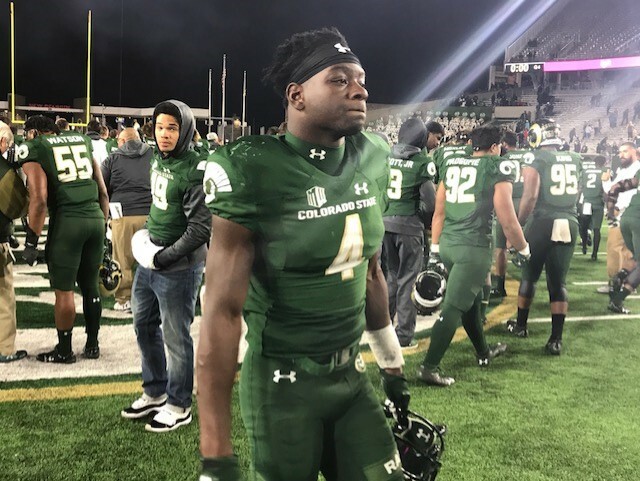 out Colorado State receiver Michael Gallup. 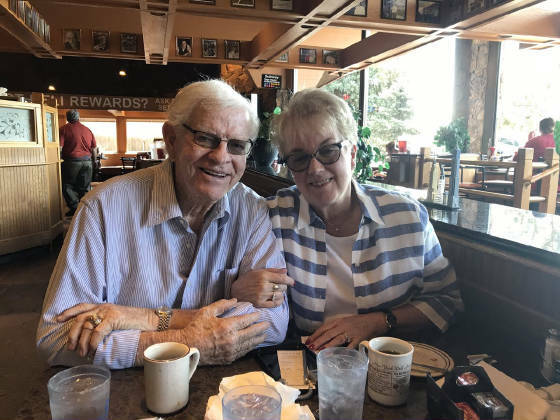 around Gallup with the other, in what became a mutual embrace. 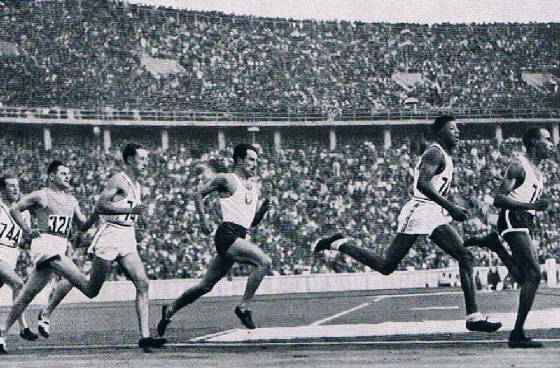 "You'll have a long career," Muhammad told Gallup. ball, to outmaneuver defenders in the air and come down with it. in the third quarter -- now at 5-2 overall and 2-0 in the Mountain West. I asked Gallup if that was as good of a game as he could have. He said he didn't know about that, and then added: "But we had fun. defender's face, and he's kind of looking really sad and stuff like that." Gallup had eight catches at halftime against the Wolfpack, then "only"
frustration when the ball wasn't going in his direction as often. "I had to tell him not to get frustrated there a little bit in the third quarter,"
was getting a little frustrated. I said, 'You're going to win the game for us, son. We're coming to you, you get ready to answer,' and he did. He was communicating. now, it's hard to cover him." to get frustrated like that. I need to keep my head up, keep positive vibes going. That's bad on me, I just need to keep pushing. That's my fault." point where it seems discordant with his flashy game. in the interview room. "He has 263 yards and is expecting better of himself. through in the clutch when we needed him to." they came up to watch me tonight." A.J. Green, Georgia's star receiver when Bobo was on the Bulldogs' staff. game at the receiver position and that's hard to do." multiracial siblings, with five others also adopted. for 1,272 yards and 14 touchdowns. and power five conference programs were interested. make plays. He didn’t have those muscles he has now, but he had a big frame. leading him to take an intermediate step to the Division I game. Bobo program’s February 2016 recruiting class. West choice. And now more and more agreeing with Ahki Muhammad. He's going to have what these days passes for a long NFL career. offensive player of the week. had dwindled ... a bit. Chilly conditions and a late start -- the game eventually ended at 12:04 a.m.
Sunday -- contributed to the fans' flight. 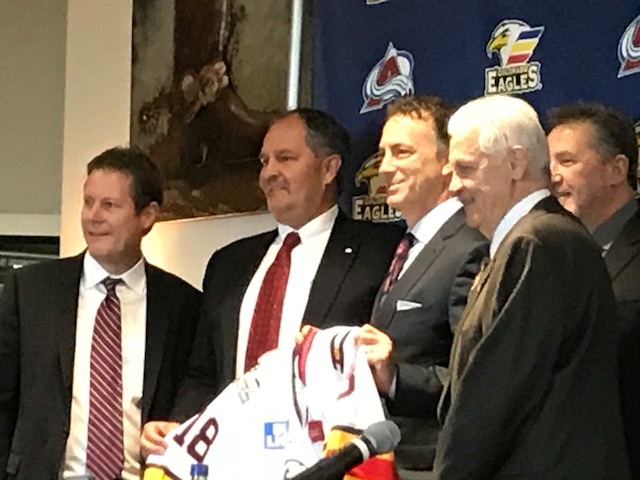 Avalanche GM Joe Sakic, Eagles founder Ralph Backstrom, and Eagles President/GM Chris Stewart. 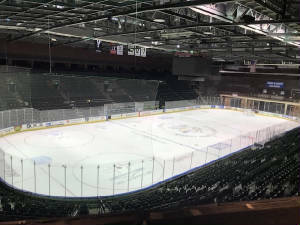 The Eagles were Backstrom's vision and opened play in 2003.
upgrading of their relationship in 2018-19.
affiliate, stepping up from the second-tier ECHL. attractions in the burgeoning Northern Colorado corridor. the move and the changes it will bring. the Eagles franchise outright and completely operate it themselves. Their answers: No. And no. perfect for development, more hands-on opportunities with our young players. Just going up and down the road will be a perfect setup." Sakic said this will work as well as if the Avalanche bought the Eagles. started the (AHL) West Division, and we wanted to be part of that," Sakic said. "It think it's 66 games that they'll be playing, so it's less games, more practice time. come up and down more, especially younger guys, to be with us a little bit more." 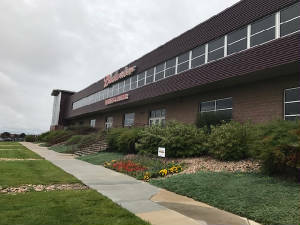 Lind's success as a developer has been a major part of Northern Colorado's growth. we live here and this is part of our community, too." The dynamic will change, with ticket prices going up about $3 on average. Patrick J. Kelly Cup) in June. "veterans," defined as players with 260 or more games of professional experience. (non-playoff bound) San Antonio to get them more games and playoff experience. not going to skip paying attention to us. that Joe and Craig are running right now, it looks like they're looking to the future. Rampage before the St. Louis Blues will take over the affiliation next season. The Eagles will seek a second straight ECHL title. have to be able to keep your building full, and the best way to do that is win." But will it be as much fun? That's going to be the tricky part. from playing in Europe last season. It will be Collin's second stint with the Eagles. After this season, the game changes. but measures up to the Loveland franchise's winning tradition at the "AA"
2-1 start heading into the Wednesday home opener against Boston. "We're happy with it," Sakic said. "I liked the energy and i liked the passion. have to play with passion and excitement, and I think we're going to do that." The Budweiser Events Center -- outside and inside. Can't somebody tackle No. 14? 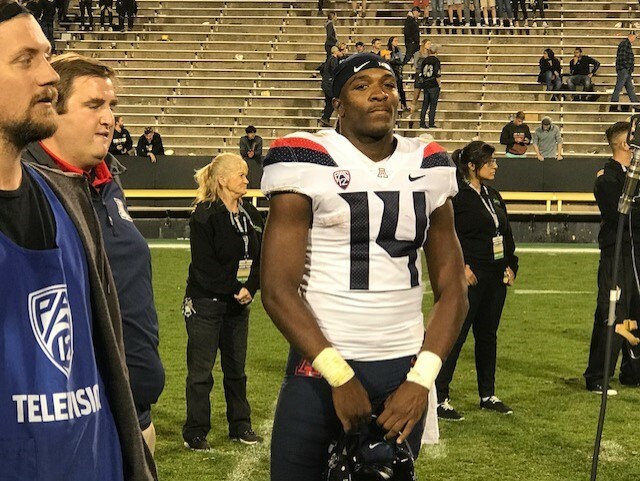 Khalil Tate waits to do a television interview after the game, as Phillip Lindsay, below, heads for the locker room. BOULDER -- Let's get one thing out of the way: The Rise was Real. their fourth under Mike MacIntyre, as an aberrational fluke, is unfair. to relatively secure with a long-term contract extension. began with a plea he had first made to broadcasters after the first half. the difference in the football game. He was amazing." That's italicized because that's the way MacIntyre said it. player, and I think they found their quarterback now. He's a phenomenal player. . .
coached better. But we couldn't tackle him." was when he was at San Jose State and Colin Kaepernick was at Nevada. was when they were like eighth or ninth in the country." was supposed to be a given. ago when, until the very end, everything seemed to fall into place. "We've lost two heartbreakers in a row, really, down to the wire,"
we'll eventually win some more." the major losses on defense and everything else. West divisional title -- the Buffaloes have been largely unimpressive as a team. Lindsay remains one of the right spots. in the history books forever, it'll be hard to break that all-purpose yards (record). locker room about what we needed to do and how we need to do it. "They key now is you don't point fingers. That's what I talked to them about. For his part, Lindsay passed on talking about individual accomplishments. and get stuff rolling again. I'm proud of my teammates." I asked if the Buffaloes through they were underachieving. have to be here. We're going to be all right." Jason Aldean performed his hit song, "When She Says Baby." Suddenly, at about 10:05 Pacific Time: Pop. "Is this part of the show?" Chad quickly realized, no, this wasn't fireworks. "That's gunfire!" he told Holly. "Are you sure?" an incredulous Holly asked. heeded the frantic exhortations to get down. the front of the rooftop deck. on their stomachs, they waited. attendant. They are Chad Sigg's parents. off LeAnne and Danny's grandchildren, 8-year-old twins Cameron and Catelyn. 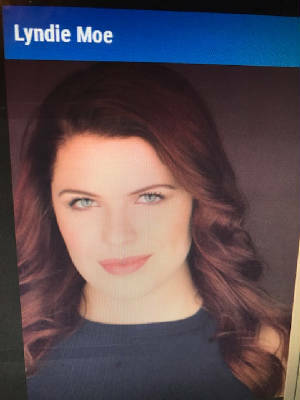 Leigh Ann Brewer is Holly Sigg's mother. The grandparents were taking turns with the twins for the weekend. The twins' parents were attending some country music festival. Vegas shortly after 11, Mountain Time. Active shooter. Country music festival. Two dead. reported toll of dead and wounded mounted. Should Helen call LeAnne? Should she text? Should she ask? Finally, at 7 a.m., Helen sent a carefully worded text to LeAnne. was too many. Eventually, the toll ended up at 58. Ralston Valley, Chad has decided to concentrate on coaching Cameron's team. Holly is a peformance management lead for Deloitte Audit. Cameron liked to sing along, and that was both fun and important. mused about how much fun it would be to attend the Las Vegas festival. four tickets to the three-day festival -- for him and Sara, Holly and Chad. It was going to be a fun family trip. cards for easy purchases, including food and drink, on the grounds. "It was like a combination of the Denver Stock Show and a concert," she said. were selling cowboy boots and jewelry, then the booths for drinks and food." for their lawn chairs or blankets. they had this makeshift bar, and on top of that, they had a rooftop patio,"
them if we could go up there, and they said sure, go up there and have fun." arrived at their grandparents' home. to the Las Vegas airport -- McCarran International -- to head back to Denver. Luke Combs. "We were really close," Holly said. "We had amazing spots. Timed the kids so they could hear it live." Then Jason Aldean was on. from it. You could hear the spraying of the bullets." minutes. The shooting sounds came in bunches, off and on. "I was thinking of my kids," Holly recalled. "We were in this mass rush of people," Chad said. her if she was all right. husband wasn't there, and the Siggs resumed their move to the VIP gate. Once on the sidewalk, they hurried toward the Tropicana Hotel, to the north. police -- roll in and block off the area. "People were going by, saying, 'What's going on, what's going on?'" Chad said. Mass shooting at the concert." get much rest overnight, either. Holly and Chad heard the "shooter down" statement on the coverage. briefly, saw many resting in the booths and noticed the smoky atmosphere. among them, trying to explain the possible next steps. where the shooter had killed himself on the 32nd floor a few hours earlier. waited in the theater's lobby. "My main concern was getting Holly out," he recalled. "You felt fortunate, but so horrendously sad," Holly said. About 7:30, the hotel guests were told they could return to their rooms. a ride to the airport with another couple. They made the 9:45 flight. Zack Golditch at the Rams' Tuesday practice. Monday and on television spotted the terrible news. in the Las Vegas shootings was at 59.
but I know they're struggling." theater when shrapnel burst through the wall and struck him in the neck. the 2015 football season, Golditch would only say, "Justice was served." coming together after what happened." wins over Mississippi and Vanderbilt. 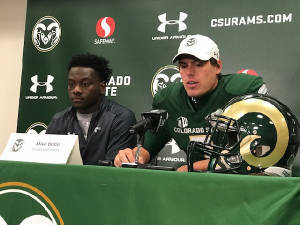 "Zack has played awesome this year," CSU coach Mike Bobo said Tuesday. he's moved around. He's played right tackle, left tackle, he's played guard. is that he's a little bit nastier in trying to finish here in ballgames." the big picture of things, we're starting to bring guys along. And after all, it's just football. Henrik Borgstrom (5) and his Pioneer teammates before the team picture was taken Tuesday. After ruling out "one and done,"
23rd choice of the 2016 NHL draft? 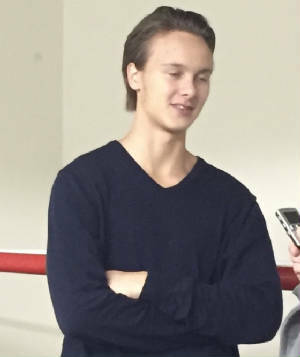 grit and chemistry, Borgstrom often took over games. need of being locked in the weight room. especially testing when that also includes university classrooms. 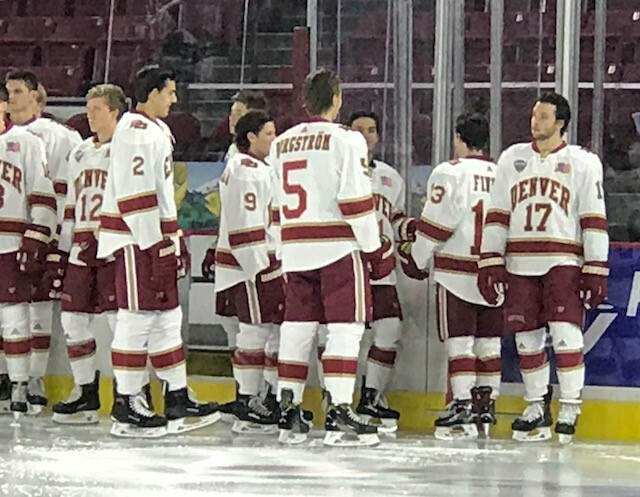 returning still is a huge boost to the Pioneers' chances of repeating. of knew I wanted to come back and I don't think I'm ready to go there yet. I want to be confident about myself." with the San Jose Sharks last season. 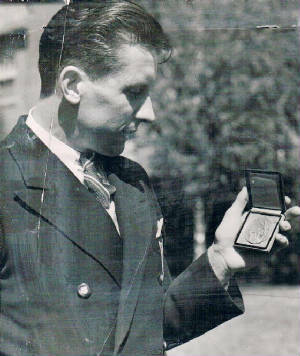 "At first, the team was waiting for him to make his move," Borgstrom said. one more season of NCAA hockey. like that. You have to go over all that stuff and it was kind of scary." temporarily derailed Borgstrom's offseason conditioning program. but I want to get that rate back. I feel better right now." So now the quest is for a repeat, a daunting task in any sport -- and any level. "Our goal is to win another 'natty,' and that's the first thing in my mind,"
Troy (Terry), they decided to come back, too, to accomplish the same thing. possible. I just have to get a focus a lot better in certain games." team in South Korea early next year. hopefully he can do it." embarrassment of not having a single 20-goal scorer. the accomplishment, too, since the Finnish rookie was -- and still is -- only 20.
for that final two-game road trip. is on track to perhaps threaten the 30-goal barrier this season. the Minnesota Wild at the Pepsi Center. Thrashers stumbled to 39 points ... as a first-year expansion franchise. defenders every night, which he did for the most part last year as well. He's going to play a lot of minutes and we want to use him properly. have that and it's going to be an exciting season." when he was the "kid" in 2016-17.
hungry to win this year and get some crowds back." 15, the Rams called timeout. 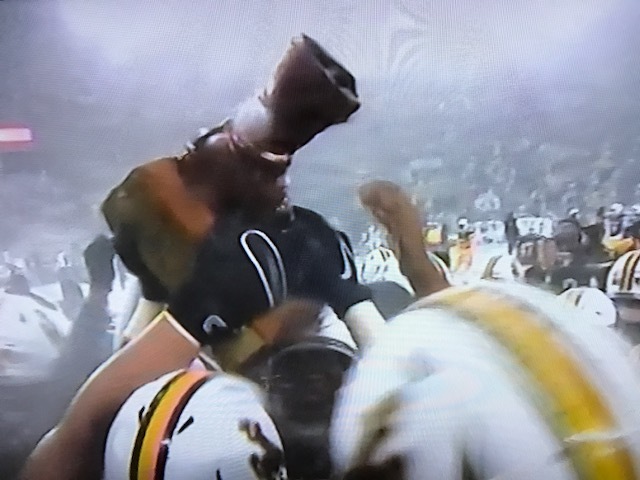 let the Pac 12 officiating crew know that this was getting ridiculous. for illegal hands to the face. 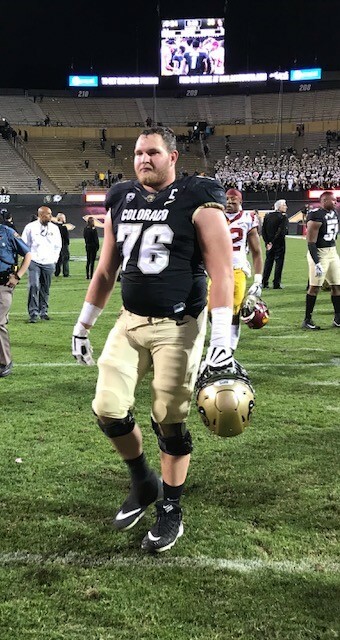 perplexing in what turned out to be the Buffs' 17-3 win. None of them should have been called. whether from media, fans, players or coaches. The officials took over the game and ruined it. It's most common in basketball, but aggravating in any sport. sans any significant ceremony -- was surprisingly low-key. Yes, the Buffs celebrated. But that TD suddenly would have made it more interesting. handshake was perfunctory at best. Bobo was peeved. Not at MacIntyre, but peeved. To be fair, and to be clear, this was not just about the officiating, but it entered into it. him what he said and what he thought of the officiating. try to sell any malarkey about the calls being justified. officiating. 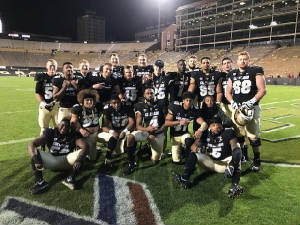 We have a quote at CU: No excuses, no regrets." opener against Washington in Boulder on Sept. 23.
division -- will contend for the Mountain West's Mountain Division title. 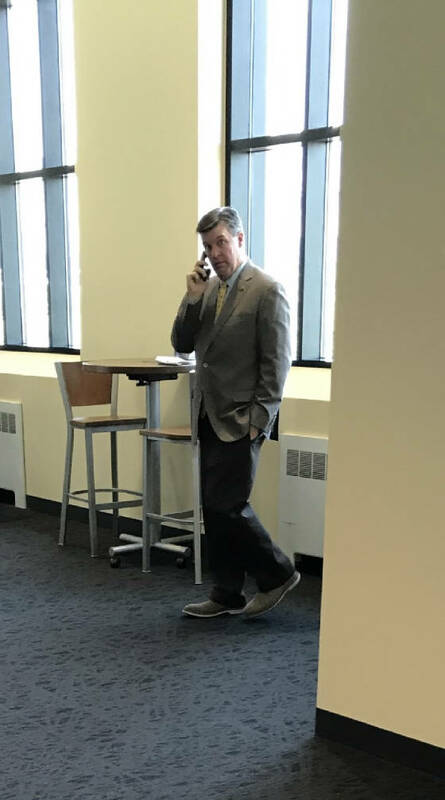 Part of the week's obligations: Mike MacIntyre does a radio interview after his Tuesday news conference. 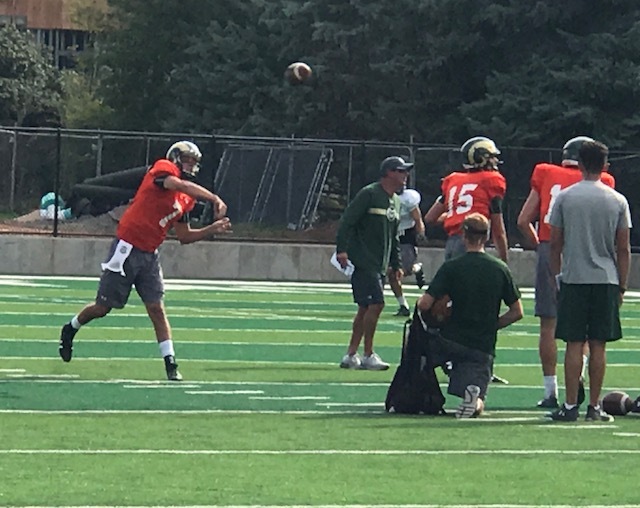 with Mike Bobo standing by with the practice plan in hand. 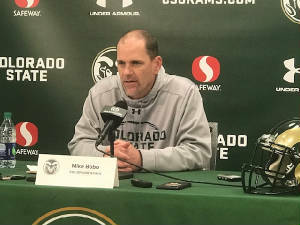 State's Mike Bobo end up at the same banquets, luncheons or other functions. Collins -- their feeling for the state of the rivalry. the state. You have little side things like that all the time that make it more of a rivalry. I think it's pretty cool, pretty fun." won. That would help, to go out and perform well and find a way to win a ballgame. you want them to play well, for yourself, your university and your fan base." down that approach. But both were being careful this week, diplomatic, complimentary. commonality of the experience, and that in this case has led to mutual respect. or Texas-Oklahoma in Dallas again is more credible. the Cornhuskers in the revival of that rivalry -- moving from Boulder to Denver. The final seconds roll off the clock. to my chat with school president Tony Frank in his office in December 2011.
that wasn’t a difference maker. stadium. Soon, he was extolling the project to Frank. This is part of the transcript of my conversation with Frank a month later. FREI: Can we anticipate an on-campus stadium? don’t know. We haven’t raised a penny for it. There’s not been a cent committed. And, ‘Where will you put it?’ At this point, I have people in Facilities going, ‘Really? we’ll get there or not. I think we’ll try hard, because I do think that would be a big factor. 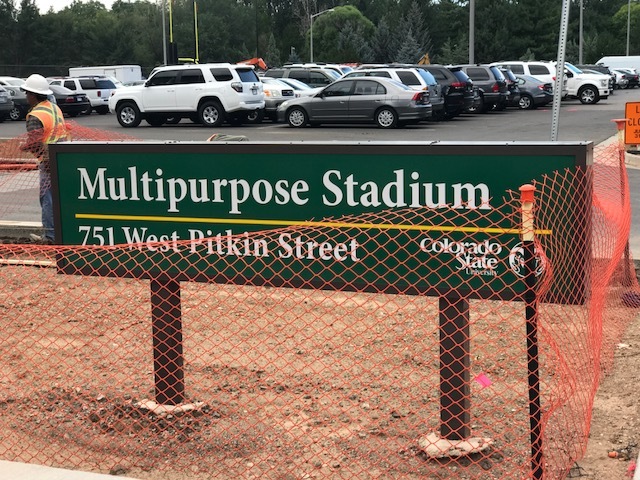 who aren’t from CSU are never going to connect to this campus, never are going to see that. 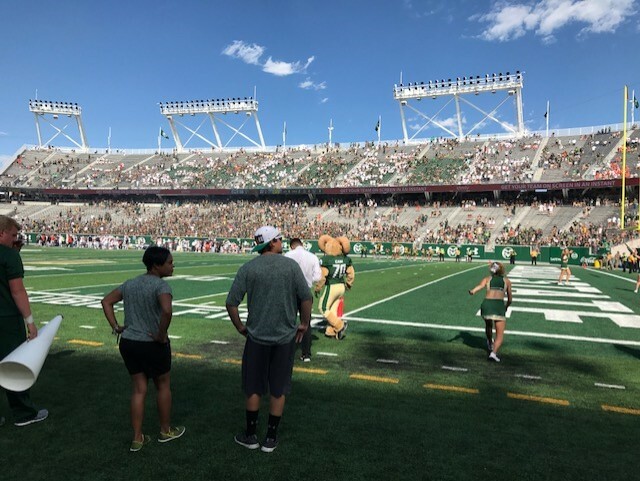 Six years later, Sonny Lubick Field opened. and the ultimate green-lighting of the project on December 6, 2014, and then the construction. And Saturday, the first game. open up a 34-20 lead. in their 50s that they played in the stadium's first game. glad it turned out the way it did." years later down the road." Mile High Stadium (yes, that too) -- regardless of which team wins. concession lines were intimidatingly long. That can be taken care of, though. it already has come into play as a selling point. 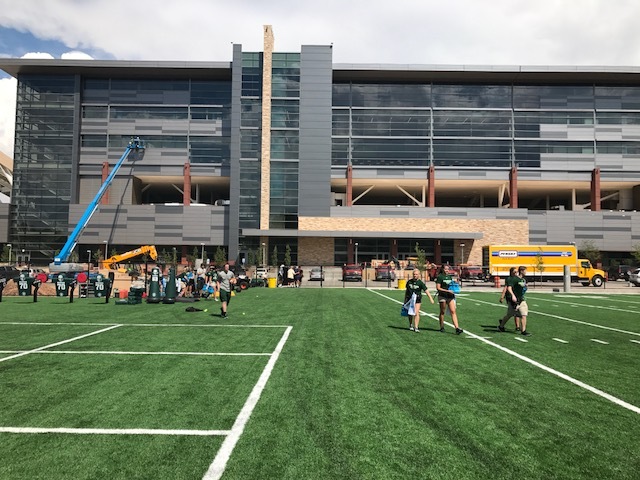 ago opened up a new football operations building connected to Autzen Stadium. The Beavers are about to run the first play from scrimmage in the new stadium. Ryan Nall (34) ran for one yard. 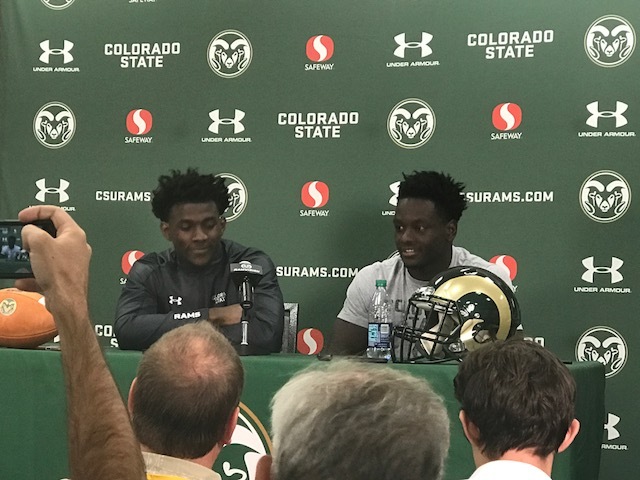 Wide receivers Detrich Clark and Michael Gallup in the interview room. 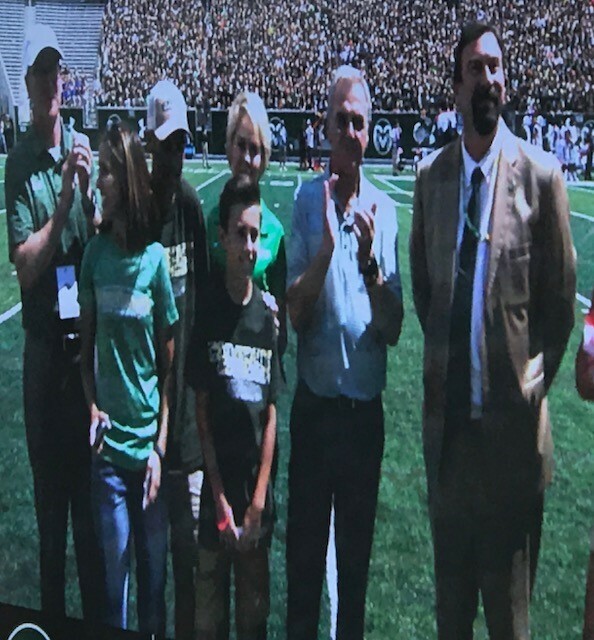 Scoreboard shot of Sonny Lubick, as in Sonny Lubick Field, with Tony Frank. Field designation to be transferred to the new stadium. The new practice fields, against the backdrop of the west side of the stadium. State practice on the artificial turf fields just west of the stadium. underplayed: These are the practice fields that, at least in theory, might not have been. 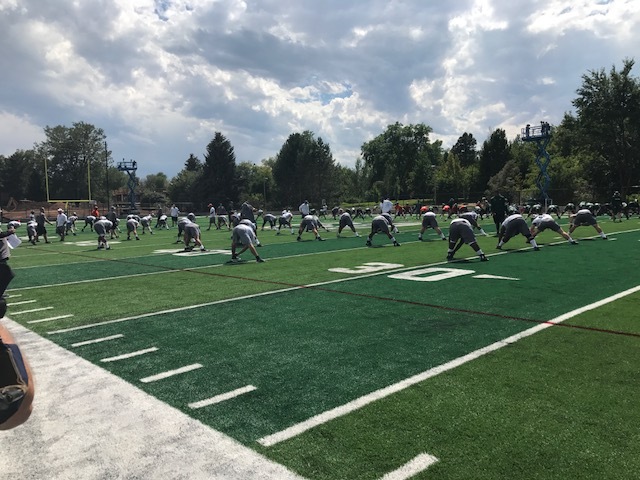 project within spending constraints that would enable the practice fields to be an "add-on"
while keeping the bonded indebtedness within the original budgeted amount. virtually any way possible to get the practice fields into the stadium project. walk would have been, well, a pain. way?) "Hamilton" tickets for the night after Lin-Manuel Miranda left his show. artificial turf fields next to Moby. the surface. The surface is 10 times better, many times better than the surface there. It was hard for our guys to go fast and keep their feet. 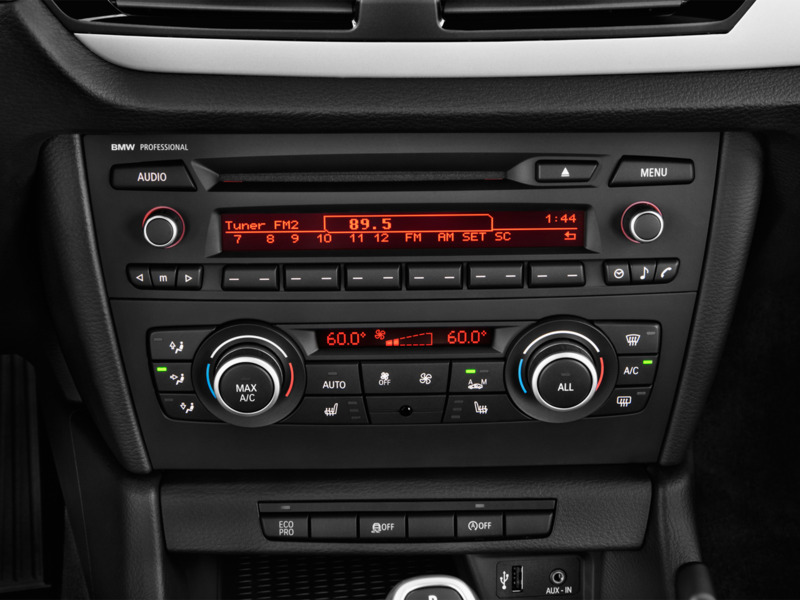 So this surface helps us a lot." what this place was going to look like, it looks exactly what it was supposed to look like. and to be able to open the stadium, I think that will be a life-long memory." on the overall facilities front, too. out of it. It helps chemistry-wise, that's for sure." itself are in the same league -- figuratively, not literally. Including the practice fields.